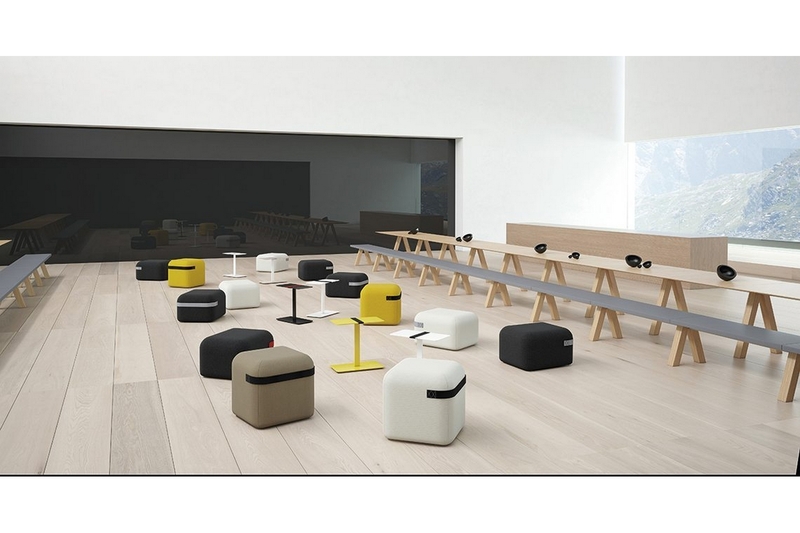 An extension to the successful Season bench, now with separate, small puffs whose concealed wheels and handle built into the upholstery make them highly practical. 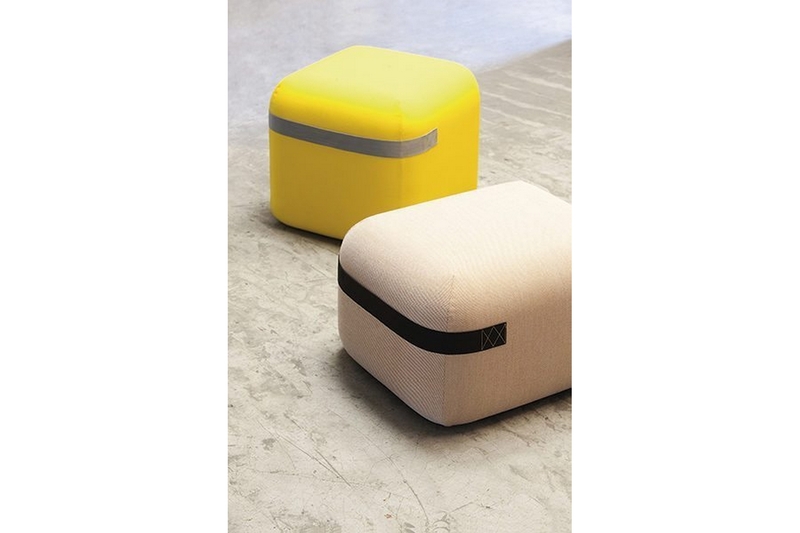 Versatile and smart because they can combine a range of fabrics and leathers with their different-coloured handles. 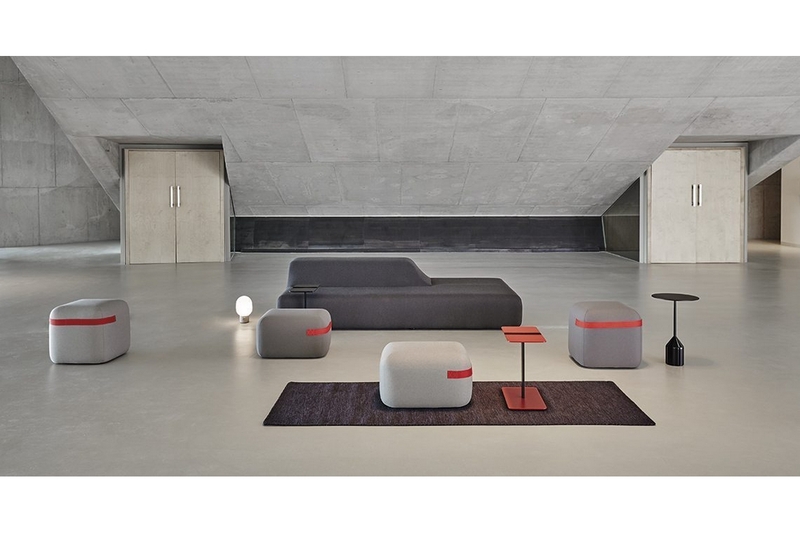 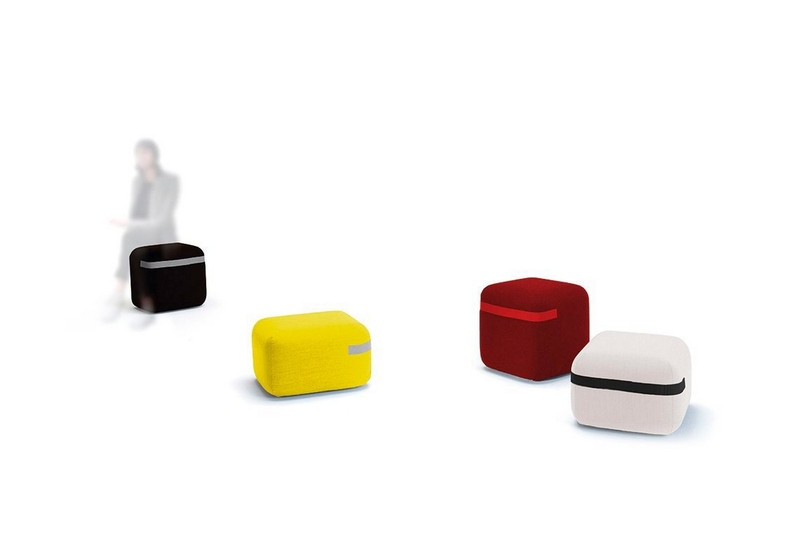 Perfect example of soft furniture piece for offices, restaurants, reception areas, etc.